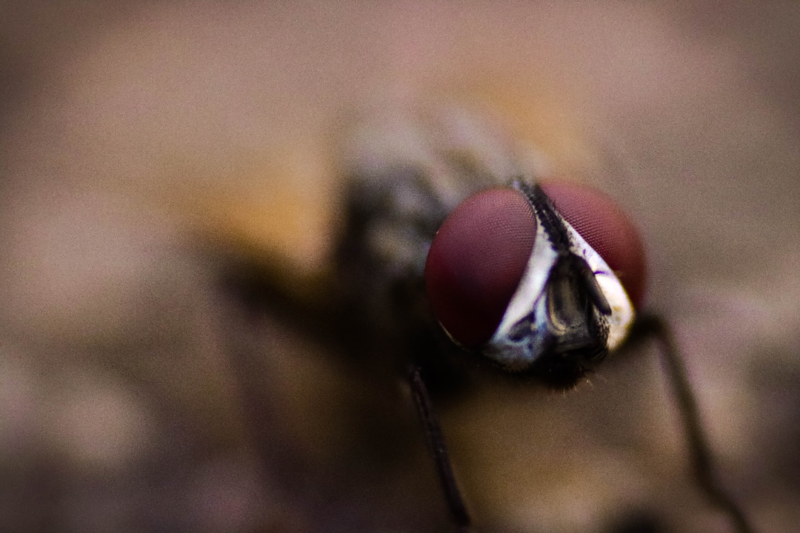 Are flies and Other Flying Insects in Your Kitchen, Food Prep and Indoor Dining Areas a Problems For You? Are You Worried About Complying With Stringent Health & Safety Regulations Requirements? It ticks ALL the right boxes for you! 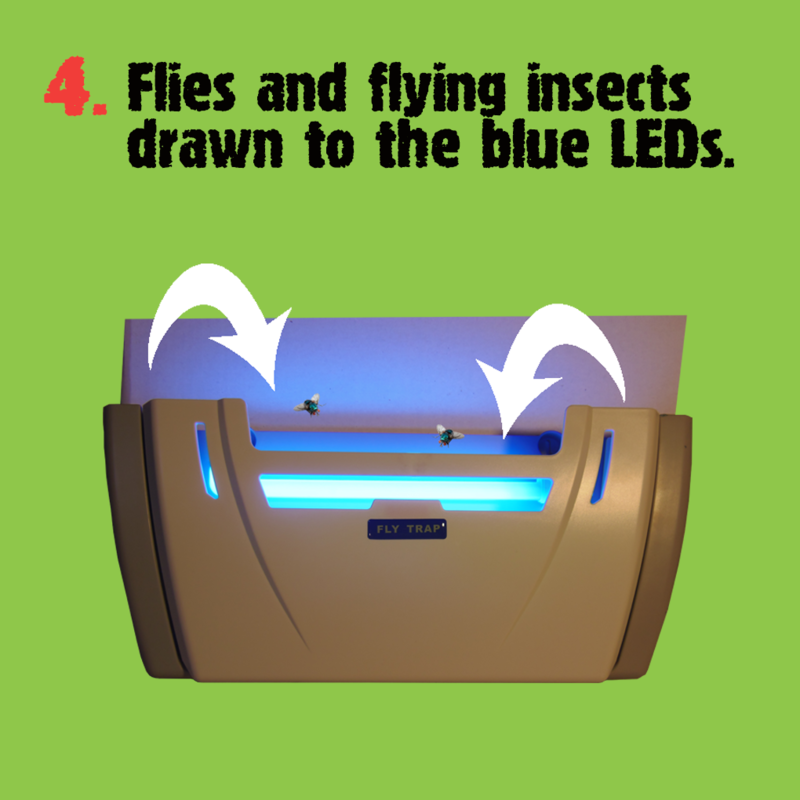 The NEW model DIY F3 LED Fly & Insect Trap sets a new standard for controlling flying insects. It is rapidly becoming the preferred option in commercial kitchens, cafes Restaurants, food prep areas, dining areas, laboratories etc. We even have commercial drink brewers & bakeries installing these traps to reduce their flying insect problems and maintaining an insect free environment. 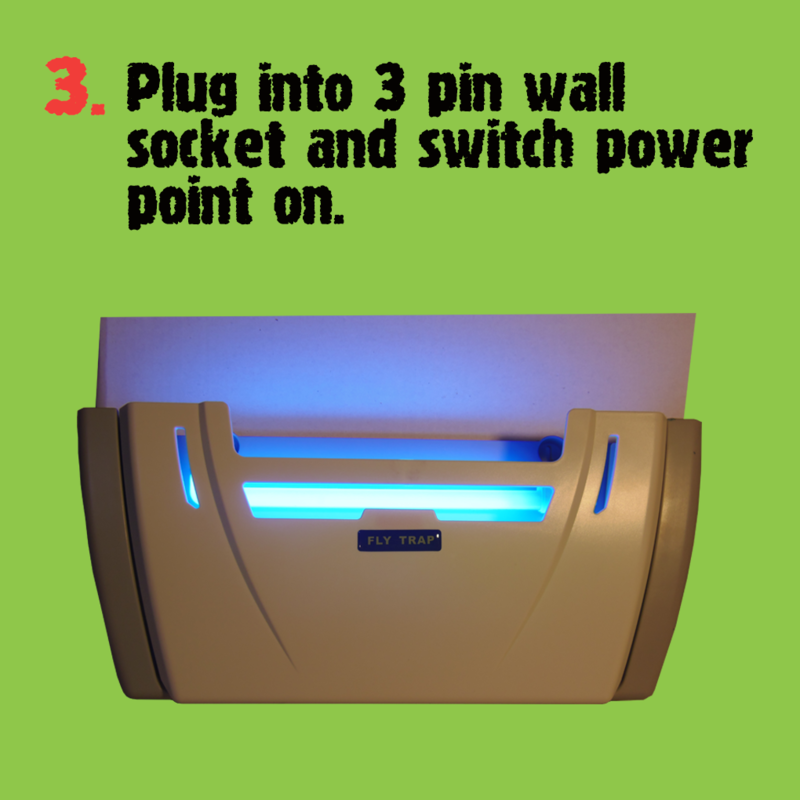 The new blue LED lights operate off a 240-volt to 12-volt transformer giving you a big drop in power consumption without losing efficiency. The attractive design also allows them to be installed in eating areas as well as the business end of food outlets. The sticky glue boards are discretely hidden out of sight of public view. 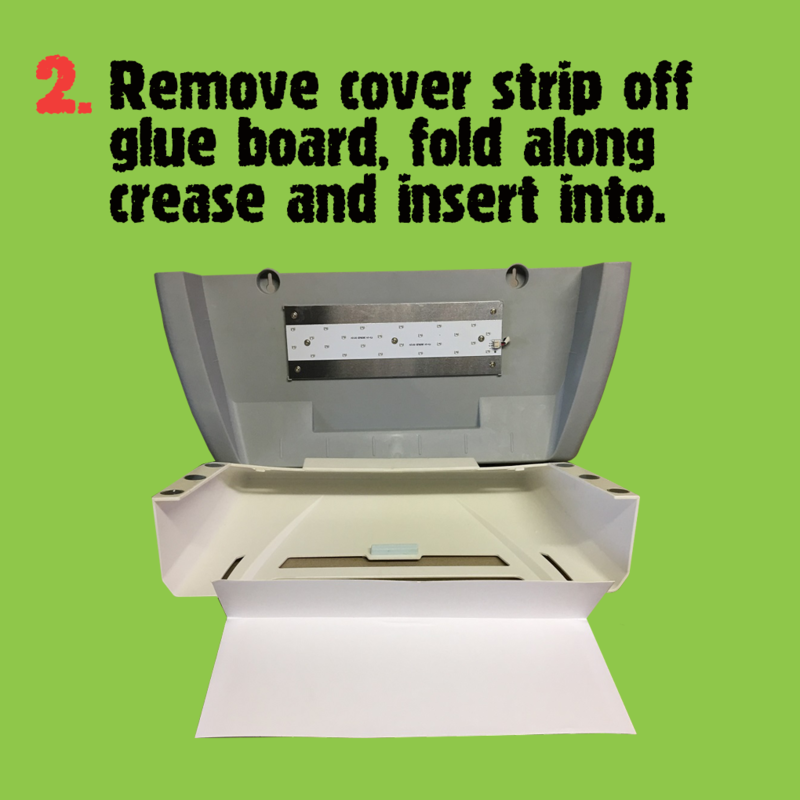 the spent boards can be disposed of as normal waste. 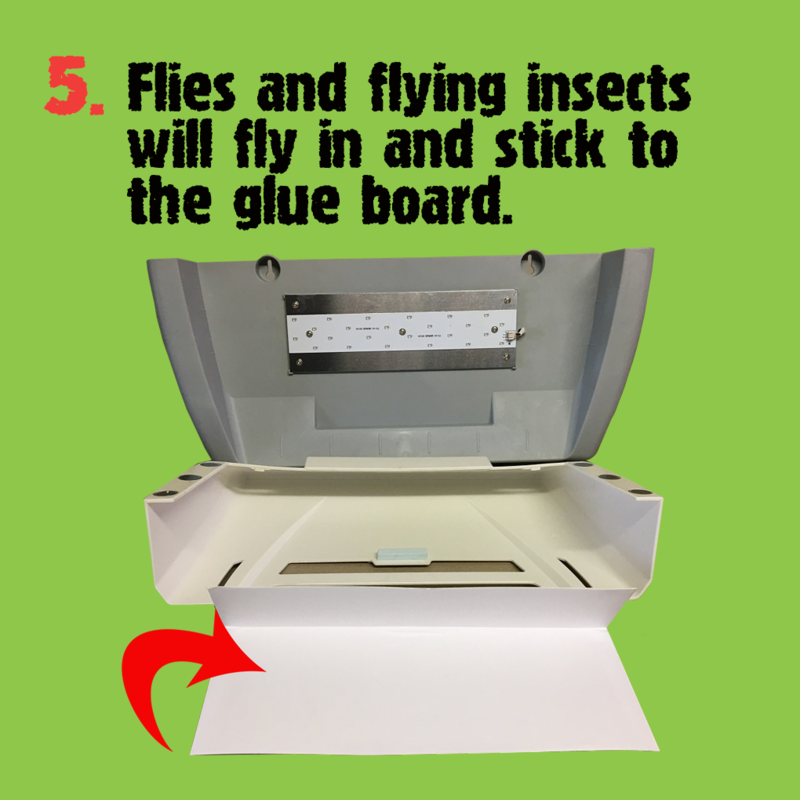 The low set up cost and low-cost replacement boards, plus the easy to follow installation instructions and straightforward operations make this Fly & Insect Trap the number 1 choice to deal with your flying insect problems. Long life blue spectrum LED lights to mean No tube replacements, safer to use, lower running costs and still the same low price as the previous model! 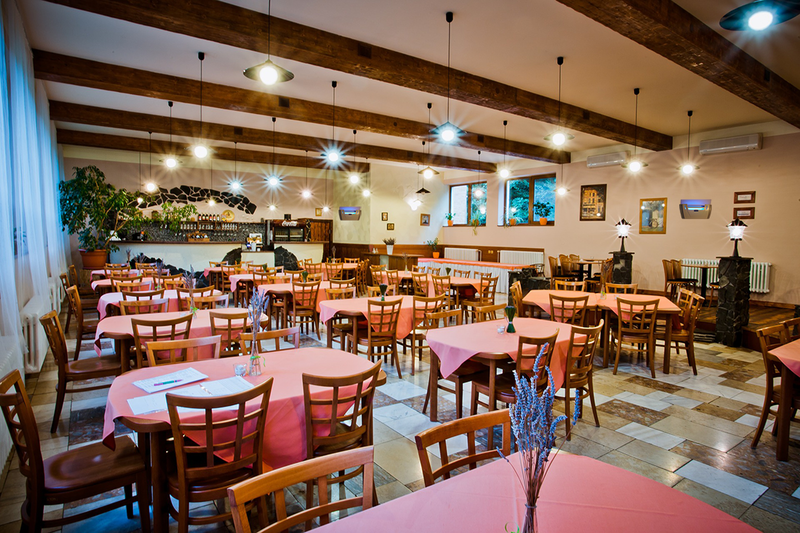 * Large Commercial & Domestic Kitchens. 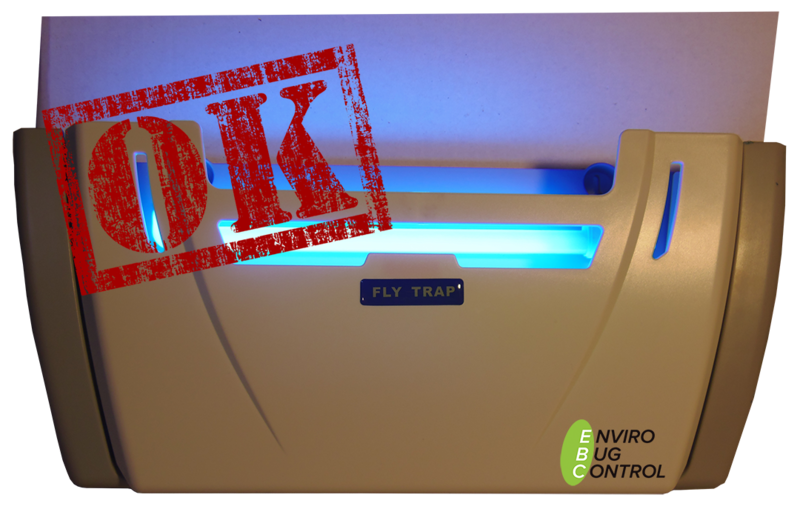 EBC commercial and LED fly and insect traps provide you with economical, DIY easy solution for controlling flying insects in food preparation and serving areas that require strict hygiene to comply with State and Federal government food safety standards. 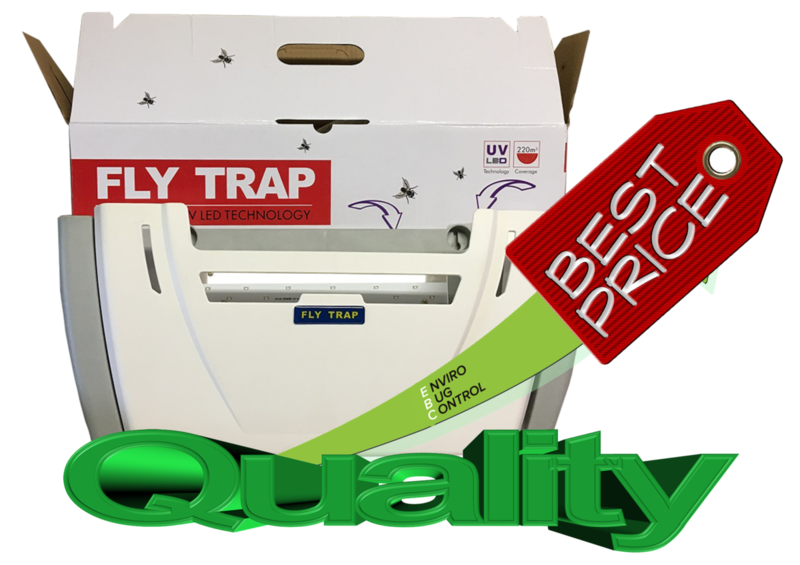 electronic electrocution type traps is that they can get rid of health risks and potential danger associated with using live 240-volt power to kill insects in food prep areas as well as dining areas. 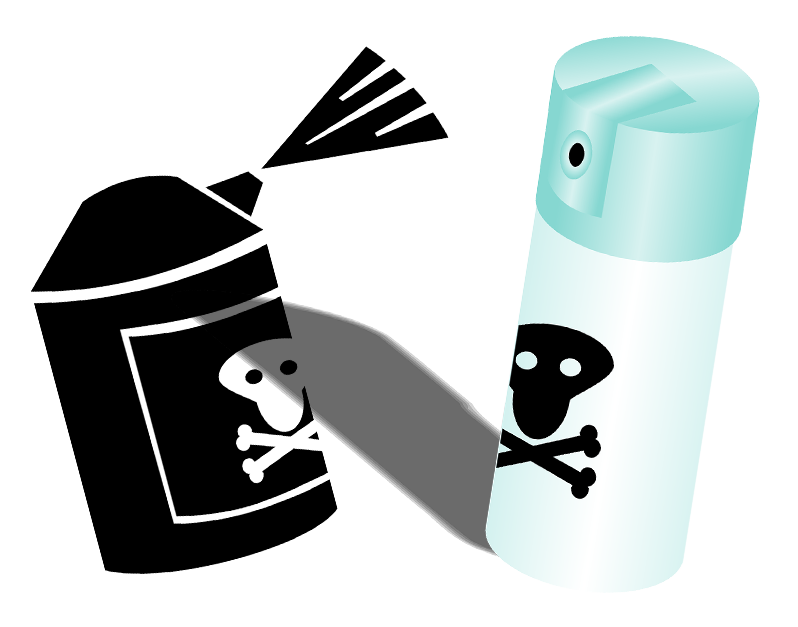 electrocution to zap insects causing many of them to shatter and potentially fall into food, risking contamination as well as creating unpleasant odour of burnt insect smells. 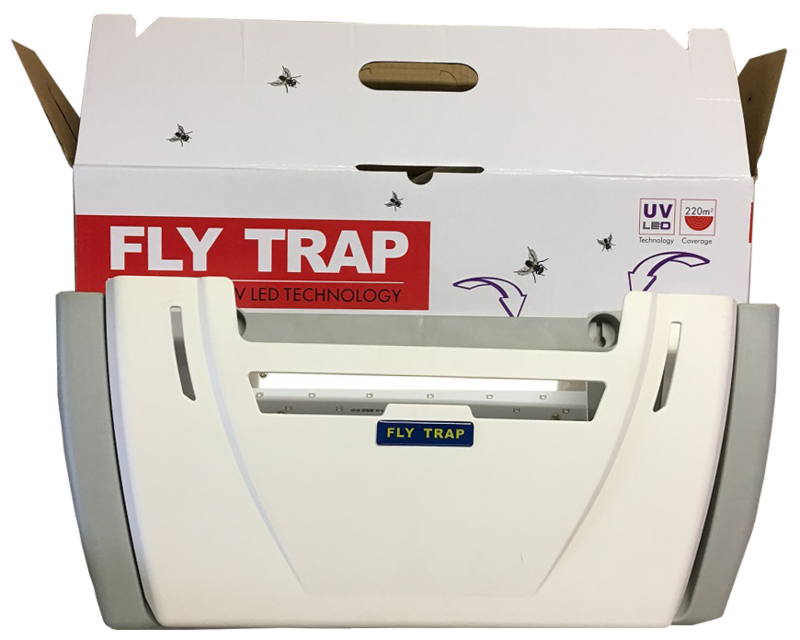 The discreet attractive design of the F3 LED trap looks like a wall light with the hidden glue board inside ensures the capture of flies and other insects which could otherwise result in unwanted embarrassing customer experiences. No Poison! No noise! No smell! 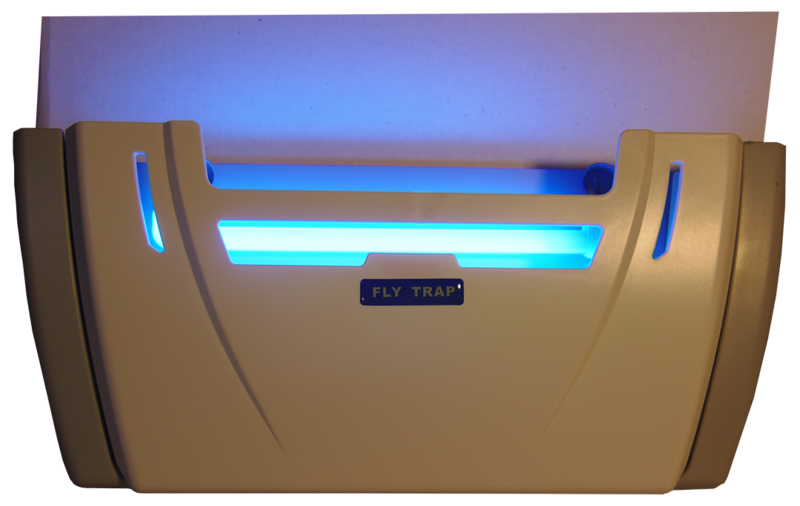 Because EBC LED Fly and Insect traps use a combination of a powerful blue LED light and special odorless replaceable sticky glue boards The boards can be easily replaced at the appropriate intervals, on average monthly depending on the season. 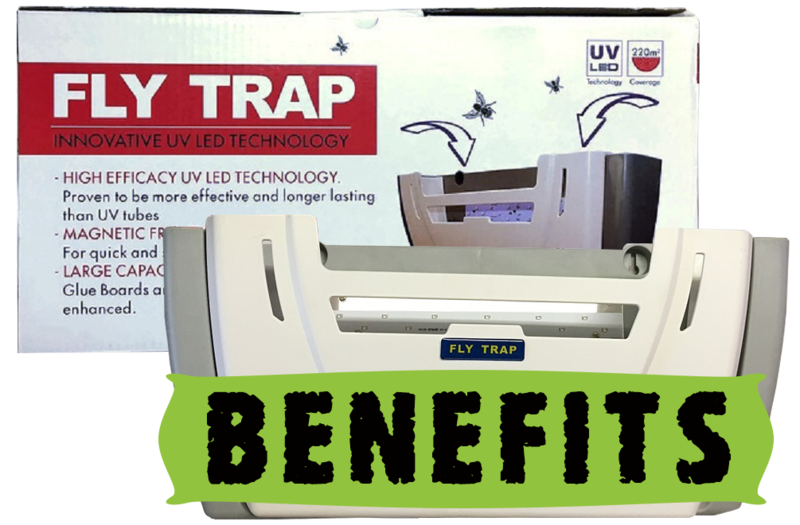 Plus, for your extra peace of mind, you get our Easy 2-year warranty with your purchase of the F3 Traps. 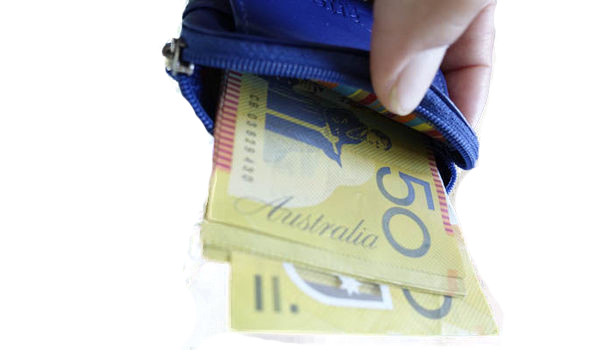 * F3 dimensions: 500mm width x 240mm height x 120mm depth. * Available spare boards and parts. 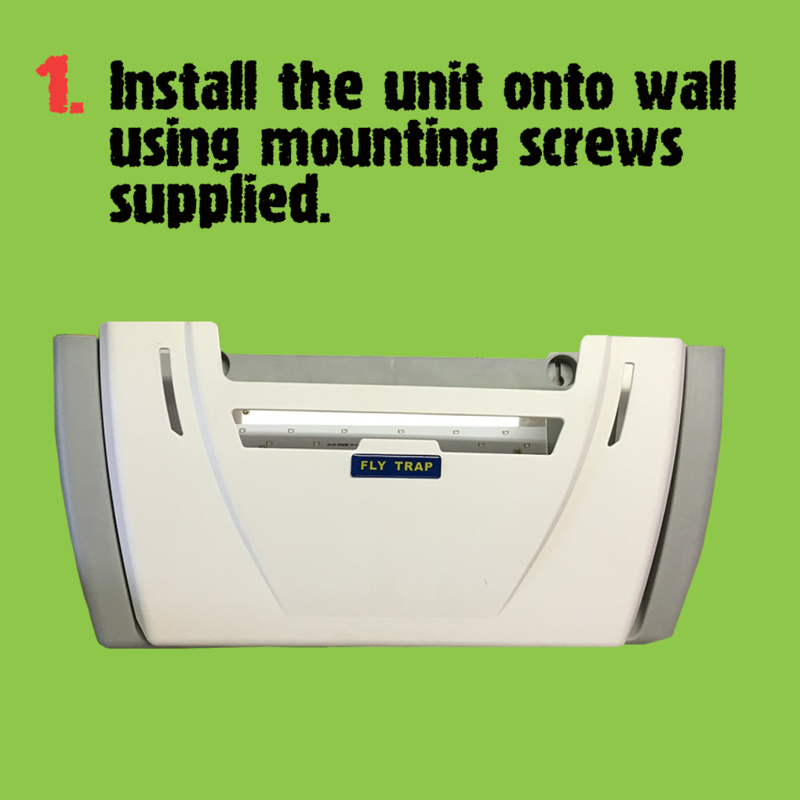 Install the trap yourself easily and avoid expensive installation costs!! !